I’m from Astoria. Let me start off this story right there. If you know anything about Queens, you know that I spent 25 years of my life surrounded by Greek culture and Greek food. I was raised eating Yaya’s lemon potatoes and grilling lamb in a friend’s backyard during their Easter. A multicultural melting pot of all first-generation born children roaming the streets until the lamp lights turned on. That’s how I was raised and so very proud of it. But it left me with something – a snobbish taste towards cultural food. I don’t just want Thai food. I want authentic Thai food. Catch my drift? I’ve been spoiled my entire life because I’ve eaten meals cooked by people who immigrated to this country with recipes from back home. I know no other way! So, when this first-generation born girl heard that a new Greek restaurant was rolling into town, I was curious but skeptical. Would it compete with memories of Christmas past? Only time will tell. 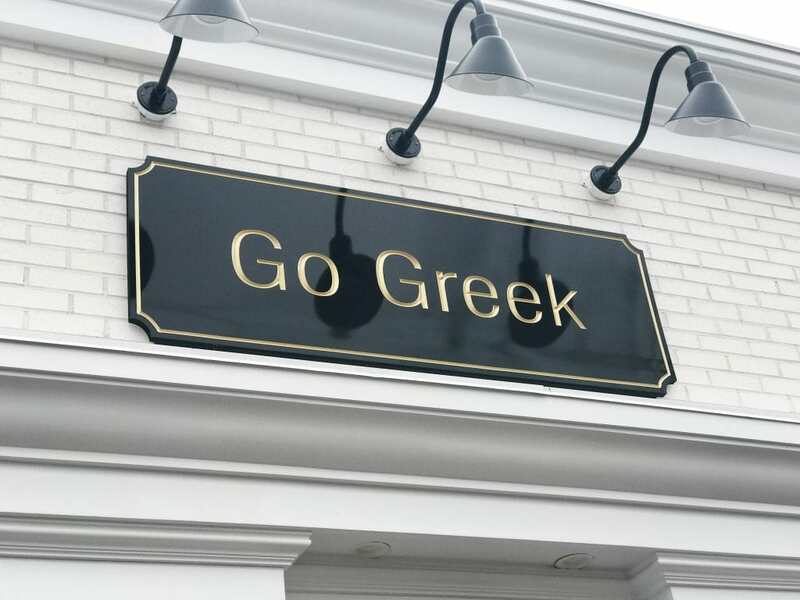 I headed into Go Greek with an open mind and a hungry belly. 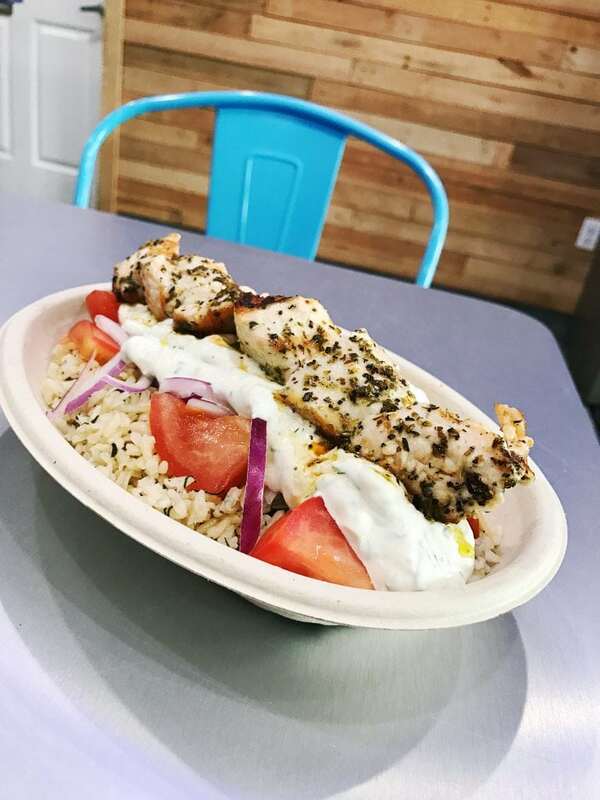 I was so ready for some tzatziki sauce and grilled chicken! That combination is what dreams are made of, right? Well, I am happy to say that everything I tasted while indulging at Go Greek met my expectations and more. 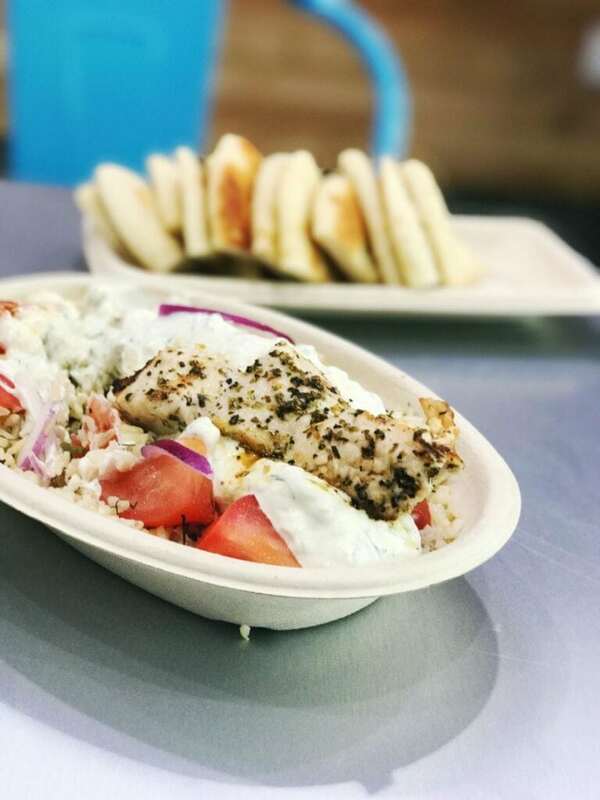 Seasoned to perfection and grilled just right, my chicken souvlaki hit the spot! The combination of meat, sauce, and rice was exactly what I need on my lunch break. An easy-to-order meal that tasted homemade… only I didn’t have to do the dishes. Bliss! However, there’s more to this story. I had an opportunity to sit down with the wife and husband team that came up with this conception and their desire to offer up quality ingredients while having the lowest impact possible on the environment was refreshing to hear. It wasn’t about cutting corners. It was about getting back to basics. It was about using real, fresh, and whole ingredients. It was about cooking the way their grandparents used to… even if that meant affecting their bottom line. Quality mattered too much to sacrifice any step. 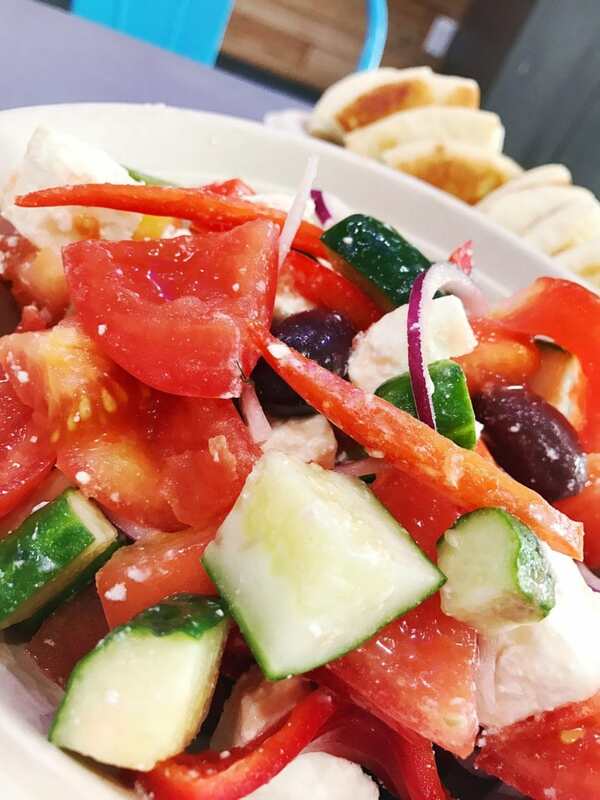 That’s why you can taste the richness of the olive oil, the power of the feta and the freshness of the tomatoes and cucumbers as you dive into the Greek salad – with every bite. 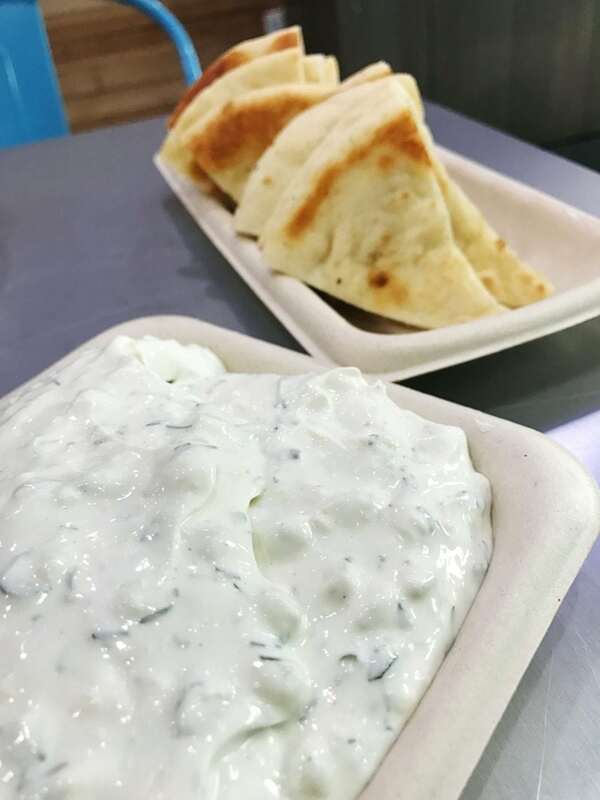 That’s why you will be begging for more pita bread as you scoop your way through your tzatziki platter – because it was made the old school way. The only way that it should be made. Fresh dill. Fresh EVERYTHING — all the morning of. Expect non-GMO and antibiotic free meats. Expect nothing to be frozen. Expect everything to be made the morning before they open. 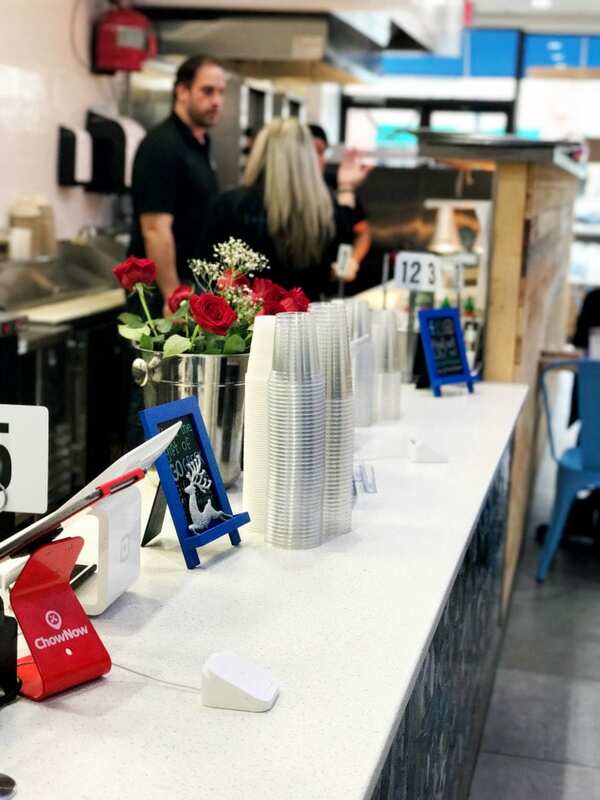 Expect their packaging to be compostable, right down to their forks and knives. Expect flavor and great tastes. If you are local to Garden City, I have great news! Go Greek delivers!! 10% off your first delivery or online order! As an added bonus, the Go Greek team even allowed me to take a peek behind the curtain… take a look! For more information about Go Greek, click here. 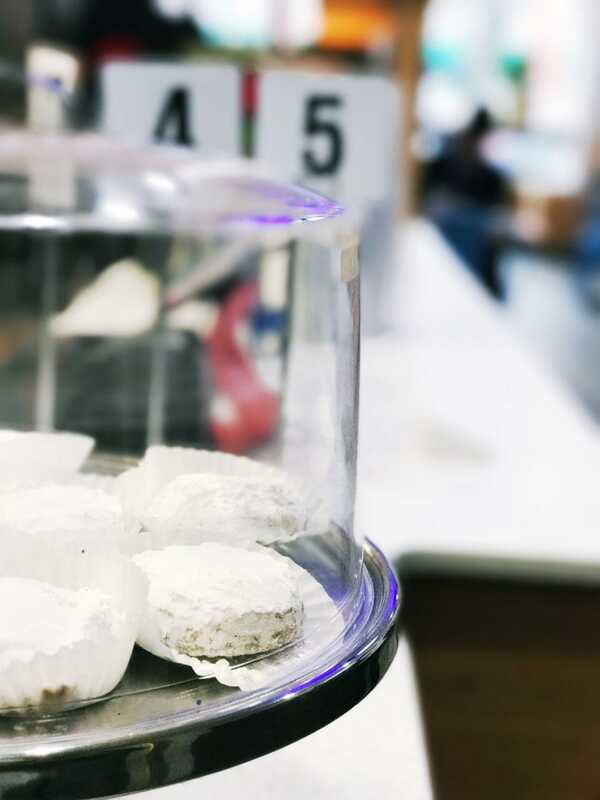 OPEN MONDAY – SATURDAY, 11:00AM – 10:00PM SUNDAYS 12:00PM – 9:00PM. Yumm!! 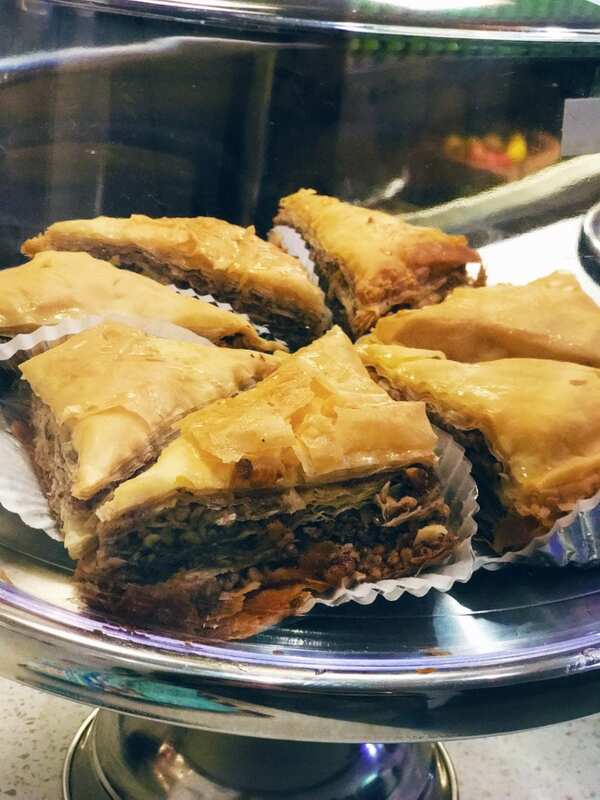 Greek food is always delicious! And that place looks awesome! I’m about to head to bed but now I’m hungry. All the food looks so darn good! Oh yummy, this all looks delicious! I wish I lived closer to this. looks yummy! I want some now! Oh can we say yum?!?? Wish I was closer because I now want to eat that!!! !